When you hear “tree disease” you may think of the roots, trunk, and branches being affected, but what about the leaves? A certain disease can directly target your tree’s leaves, damaging its overall health and appearance. Luckily, spring is the best time to treat leaf diseases. That’s why it’s important to know the different types, how to spot them and how to treat them. 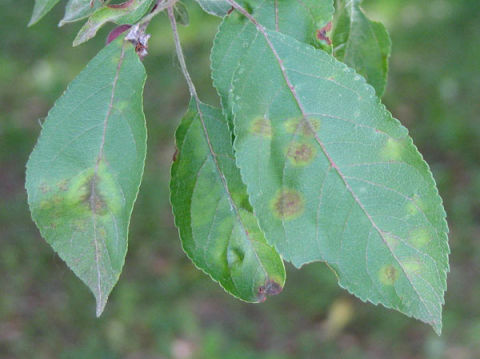 Apple Scab is caused by the fungus Venturia inaequalis and affects shrubs and ornamental trees. Its host species often include crab apple and mountain ash trees. Although the fungus affects different types of trees, it will not transfer from one genus to another (such as from crab apple to mountain ash). How do I spot it? When infected, round spots that are fuzzy and yellow-green will appear on the leaves and fruit of the tree. These spots often darken and, depending on the severity of the infection, will turn completely yellow and drop from the tree by mid-summer. 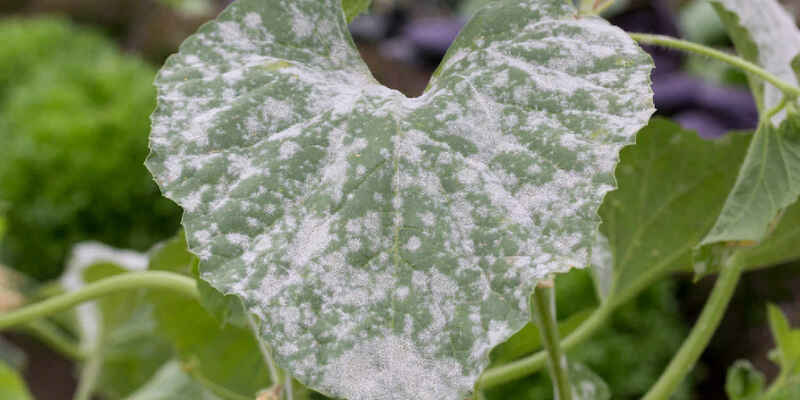 Powdery mildew is the most widespread leaf disease, affecting coniferous, fruit and shade trees. Unfortunately, many factors play into whether or not a tree might catch this leaf disease, including the tree’s age, health, and even the surrounding weather. How do I spot it? White spots that have a powdery (or spray paint) appearance will form. White bumps will also form on the spots and have a probability of turning dark yellow to black at the tip. Rusts are formed by Gymnosporangium, pathogenic fungi, which need two host trees to complete its life cycle. Although it is easy to spot, it is not often a serious threat to the health of the trees. There are many different types of rusts, including cedar apple rust, hawthorn rust, quince rust, and juniper bloom rust. How do I spot it? 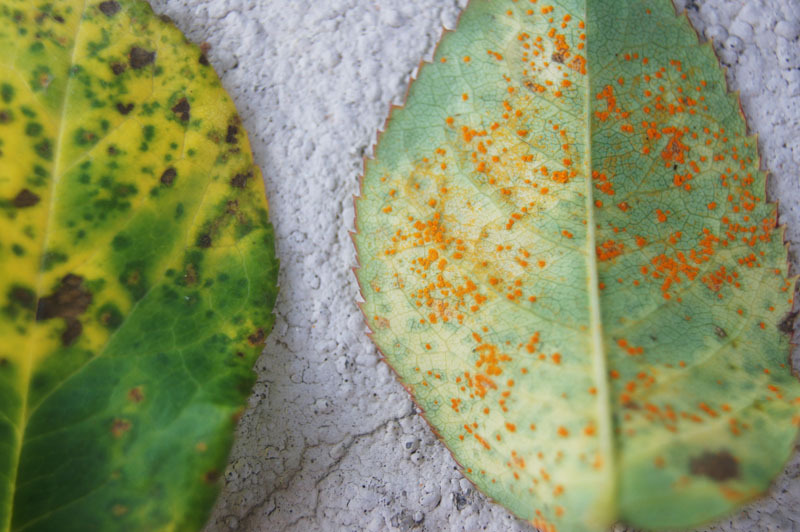 The signs of leaf rust vary between the different tree types. Yellow to orange or red spots will typically form on the leaves, often topped with smaller black bumps and accompanied by fungal tubes. These signs are typically in conjunction with Rosaceae plants, which include apple varieties, as well as mountain ash and hawthorn. Cupressaceae (confider) plants have woody growths, rather than tubular. Brown spot and Lophodermium needle cast are two fungal diseases that affect Scotch and red pines. Because of the imperfect appearance and loss of needles, diseases can impact the sales of these pines as Christmas trees. Needle cast can also be developed in spruce trees, caused by Rhizosphaera kalkhoffii fungus. How do I spot it? As their names indicate, pine needle diseases can cause unsightly marks that turn yellow. Eventually, the needles will likely turn completely yellow before darkening and falling off. 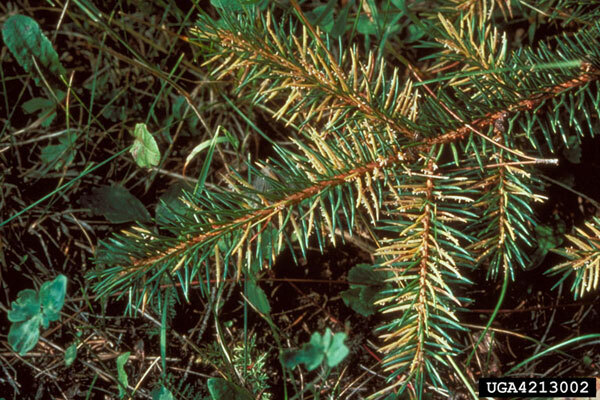 Spruce needle diseases typically start at the bottom of the tree and work toward the top. In late summer, the needles will likely turn yellow and darker in the winter and spring. Anthracnose is a fungal disease to which shade trees such as ash, maple, oak, and sycamore are particularly susceptible. Although the disease can significantly affect the aesthetics of the tree, it is not often harmful to the health of the tree. How do I spot it? Tan to brown spots will form on the leaf, particularly around the veins. Trees may also experience unusual leaf drop and a distortion in the size of the leaves. 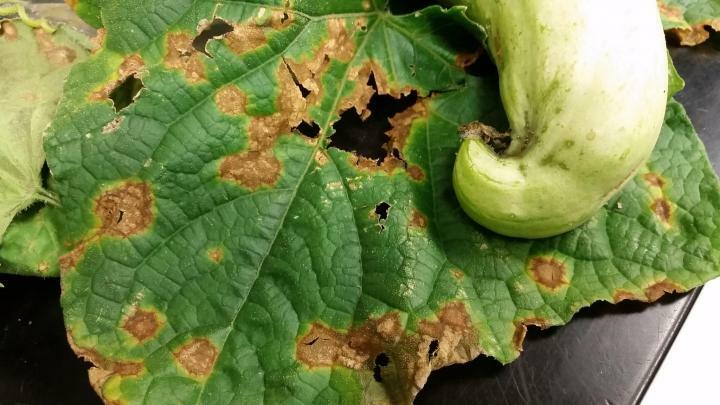 How Will You Manage Leaf Diseases? Now that you know about the common types of tree leaf diseases, it’s important to know how to treat them. As you may have guessed, prevention is the best tactic, but there are other ways you can manage existing diseases as well. Trees are often bred to be resistant to diseases. When choosing a tree to add to your landscape, be sure to ask the staff at the nursery about what types are best for your property. Circulation is essential for your trees to remain healthy and to limit the passing and likelihood of fungi. Keep in mind the size of the fully grown tree when deciding where to plant your sapling. If your tree is susceptible to a disease that requires a second host plant to complete its life cycle, avoid placing them close together. Prune your trees regularly to reduce infection by passing spores and to improve air circulation. If necessary, removal infected trees but do not mulch unless certain that it won’t carry the disease beyond its life as a tree. Spring is a great time to start a fungicide routine to prevent leaf diseases on your trees. Just be sure to find the appropriate spray, on a recommended routine. In certain cases, it is not recommended that you spray trees unless a disease is present. Not sure whether or not a tree on your property has a leaf disease? Ostvig Tree Care can diagnose and treat diseases, so contact us today.